Store Update March 15 - anthemapps Webseite! Two of the recently leaked Scar themed armor sets are now available in the store. 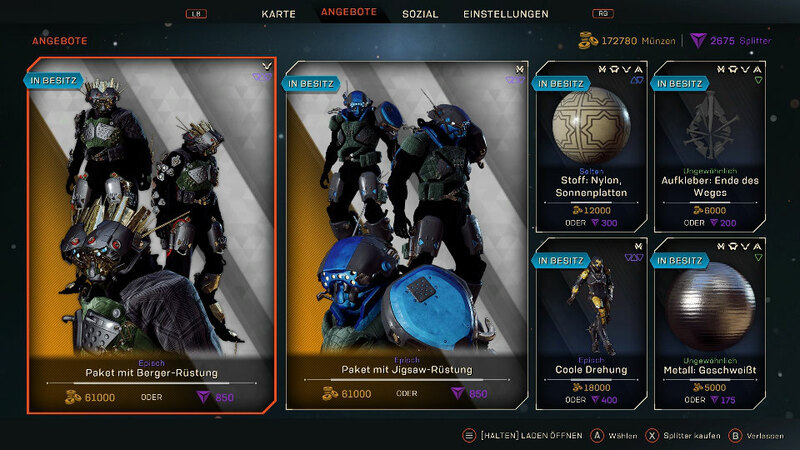 New items include 2 armor packs, 2 materials (cloth and metal), 1 decal and a landing animation for the Ranger. I really wish all cosmetics were available. Not all of us grind all day everyday. Some of us have work and a life outside of video games.